All You Should Know About Hair Transplant! Home » About Hair Transplants! 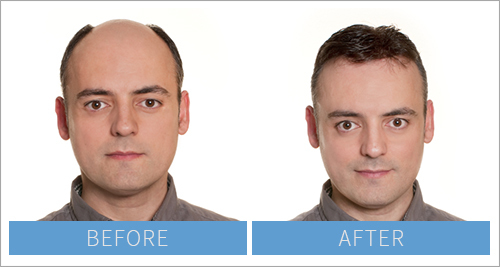 The Facts About Hair Transplant! Scalp hairs depict one of the most fundamental signatures of core health and energy and therefore exhibit the earliest manifestations when this energy starts to decrease; like through baldness. However, the modern interventions in dermal sciences have made possible successful procedures of hair transplantation. Baldness in men is often hereditary and those carrying the influences have to assimilate it as an inseparable personality feature generally after 35-40 years. Some times baldness is also generated as a side affect due to some medications or accident. To make the resurrections against baldness in such cases the dermal and hair sciences are offering refined surgical procedures that promise re growing the natural hairs in the scalp and thus negate the baldness characteristics. This may appear revolutionary but has been otherwise achieved through the dermal transplantation including the follicles that serve as the base root structure for hair growth. Hair transplantation as the name suggests involves removing of the healthy hair from one place and then grafting the removed part to the bald region. The body part from where the hairs are taken is called as the donor site and the bald place being attempted is called as the recipient site. It should be understood that the individual hair is a self growing unit supported by the live and well nourished hair follicle. These hair follicles remain embedded in the dermal layers and take their nutrients from the tissue capillaries. During the transplantation, it is fundamentally imperative that the entire hair follicle is removed which may contain a single to maximum 4 hairs depending upon the individual characteristics. This hair follicle is removed together with the dermal components so as to keep it alive. This is sort of plant transplantation where the root along with the soil part requires removal. This removed portion is then grafted at the bald region through proper and intricate surgical techniques that require local anesthesia atleast. Milder sedation procedures could also be done. This process may take few hours depending upon the density of hair transplants to be attempted. 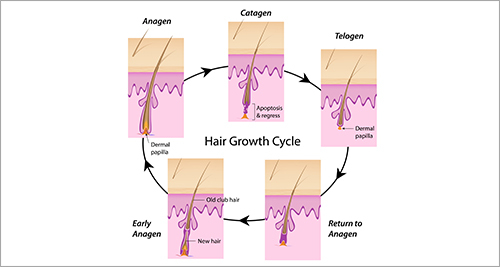 After the surgical process is completed, the transplanted hairs generally and almost as a rule get shed because of the cut in the direct supply of nutrients from the parent dermis while the grafted follicles do not get fused with the new site immediately. This is referred to as the ‘shock loss’. Antibiotics are administered to avoid the infections which occur very fast at the graft site. However, the follicles remain live and the new fresh hair growth comes up in a period of 3 – 4 months. The density under general conditions continues to increase for next 6-7 months. Further cycle of transplantation could be attempted to increase the density. Shampooing at the clinic should be started from the second or third day and this is necessary for prevention of scabs development. To prevent itching, moisturizer should be applied. Proper post operative antibiotics negate the safety issues. The person regains his personality and confidence in a short time span. There is no chance of graft rejection as it is taken from the same body. The process is rather simple negligible bleeding type and takes less time.